As I began watching the 2011 Grammy’s, a Pitchfork Tweet from the East Coast popped up on my screen. The Arcade Fire’s Suburbs had won album of the year. Great, I can stop watching now I thought. But I didn’t, I trudged on through two grueling hours of performances as pop culture’s industrial complex once again held a yearly celebration of itself. The show opened with an over-performed tribute to 16-time Grammy winner Aretha Franklin by Jennifer Hudson, Martina McBride, Florence (of the Machine), Yolanda Adams and Christina Aguilera… who tripped off the stage. Ok, so the shows weren’t all bad. Next up, fresh off a “revealing interview” with Anderson Cooper for 60 minutes (Surprise! She has a taste for coke and does her best work high), Lady Gaga. Her much-anticipated album, Born Like This has been well protected from internet leaks. Not only did her wardrobe disappoint (cone shoulders are not as interesting as a dress made out of raw meat), but the hype around Born Like This, is beginning to look unfounded, the entire track was a direct rip of Madonna’s iconic “Express Yourself” but with a built in gay-club sound bite, “Don’t be a drag just be a queen.” I will admit to being intrigued by Gaga, but she was boooooring. Speaking of boring, who the hell is Miranda Lambert? I have never been so bored in my life!!! 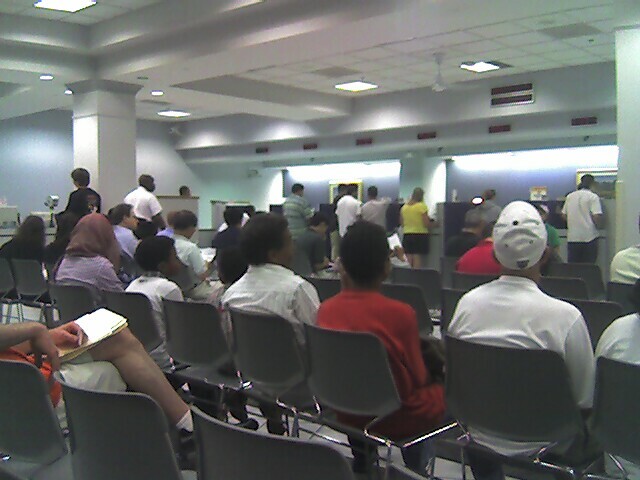 I’d rather hang out at the DMV then listen to her again. Then there was Muse. In case you were looking, I found Thom Yorke, he has been hanging with his geeky English friends smoking pot and composing background music for video games. Thrilling! Three of the best performers to cross over the top 40 charts, Janelle Monae, B.o.B. and Bruno Mars were distinctive, unique and trendsetting, all while maintaining an air of effortless fun. B.o.B. wore a monocle and Janelle Monae carried a perfect tune even as she crowd surfed, but Bruno Mars stole the show with a 50s throwback version of his hit song “Grenade.” His smug, light smile, and Ritchie Valens meets Chachi warble was magnetic. A couple country guys came out and read cue cards about supporting the troops. The boring girl from before (Miranda) won Country Song of the Year and then we all died of boredom during her acceptance speech. Then there was the longest commercial for the Justin Bieber movie I have seen… so far. The underage Usher protégé started his performance from a flashback of his early childhood in Canada in 2007 singing for Usher. And just when enough child labor laws had been broken for the night, Bieber was joined by the even more under aged spawn of Will and Jada Smith, Jaden Smith, and Usher in a Michael Jackson suit. Too soon. David Letterman’s top ten list might have been the most entertaining part of the Grammys. And then there was Cee Lo Green as a gigantic Aztecan peacock and Gwyneth Paltrow in a leotard. The duo hosted a 3-minute acid trip across the HR Puffinstuff border into Muppetland. As entertainingly kitsch Cee Lo Green was it quickly turned to cheese. Katy Perry took the stage dressed as the tooth fairy singing a slow ballad as images of her wedding to English skeleton-comedian Russell Brand projected on her over-sized dress. …the Glee kids sang those songs better. The recommended download track: Keith Urban, Nora Jones and John Mayer sang and strummed an acoustic version of Dolly Parton’s “Jolene”. Eminem, Rhianna and Dr. Dre performed a mash up of “Love the Way You Lie” and “Need a Doctor.” Although about 1/3 of the performance was censored for language, Eminem stole the limelight from Dre and Rhiannna, with the most mature, on his game Eminem we have ever seen. His veins bulged, spit flew and sweat dripped as he reminded us why the goofy white rapper made it to the big time in the first place. Esperanza Spalding, the 23-year-old UC Berkeley music grad and now professor won Best New Artist. Her simple clean and entrancing jazz is the most interesting thing to hit the industry. Puff Daddy announced an award drunk on Ciroq, Rhianna grinded up against Jimmy from DeGrassi (Drake), and Lady Antebellum won about 7 more awards.